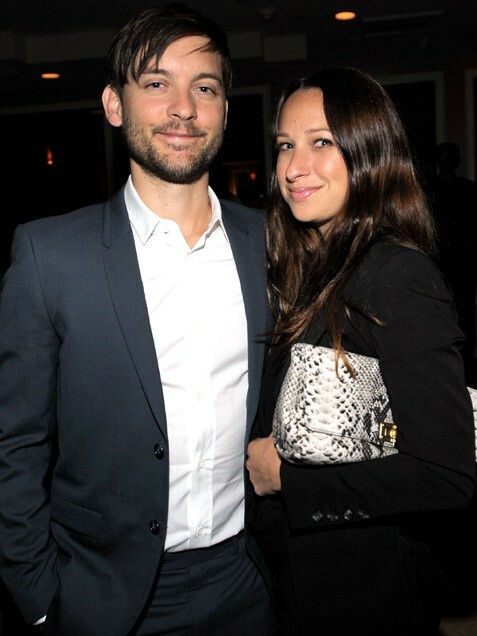 Spiderman Tobey Maguire, 36, met future wife Jennifer Meyer, 34, while shooting Seabiscuit for Universal Studios back in 2003 -- she just happened to be the daughter of Universal boss Ronald Meyer. The pair (photographed at a SAG Awards afterparty on Jan. 30) welcomed daughter Ruby in 2006 and got hitched a year later, then had son Otis in 2009. Although this couple has a reputation for flying under-the-radar -- "they are similar because they are very guarded around people they don't know," one pal told People.com -- Meyer did gush about her fabulous hubby’s parenting skills, telling People.com he is "the best father in the entire world."